Still looking for the holy grail of online business success? You won’t find it—because it doesn’t exist. In this podcast episode, James dishes out some tough love to those seeking the secret to achieving their goals. Come to terms with reality and discover what you need to focus on to make your online business work. 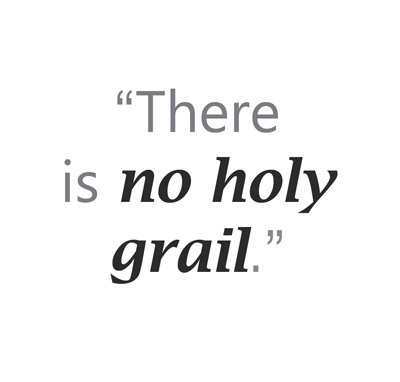 Could it be possible the Holy Grail doesn’t exist? James Schramko here. Welcome to SuperFastBusiness.com. Today, I’m going to do something a little different. I want to share with you something that happened to me in the past, and also, an email that I got yesterday. I think it’s worth just having a little chat about this because it could be helpful to you wherever you’re at in your online journey. I thought this was fascinating. After many, many hours, I took plenty of notes, I went home, and I later on got an offer to work for this gentleman, and I learned many, many things in that business. I even documented it in an information product that I put inside the SuperFastBusiness membership. If you want to find out what other things he taught me, that one’s called Lunatic Millionaire. So I was grateful to have found that out. Since then, I think that’s when life improved for me; certainly income-wise and lessons-wise. It was very difficult working for this guy, but it was going through the challenges and the realities that there is no holy grail, so I’m really going to have to create stuff myself. The thing that really sparked this podcast is the fact that I’ve had two conversations lately with people; one via email and one over a Skype call. I came to the same conclusion and I really want to share with you the conclusion. I’m going to share with you the one thing that really matters with your online business that most people seem to forget about or don’t realize is so important. We’ll come to that in just a minute. That was interesting to me. He’s really starting with his needs, certainly not my needs, because I didn’t really need to be reading the email. There wasn’t anything interesting to me at this point. He doesn’t seem to be focused on customers, or serving people, or creating value. Some of the things I’d looked for in this sort of message aren’t there. So that was a clue. He then says, “I am coachable but terrible at figuring things out if I do not have a step-by-step process to follow. I’m sure that I can thrive.” I’m thinking, well that’s unusual because if you’re terrible at figuring things out, it’s going to be tough out there in business. If you have to have a step-by-step process, it sounds an awful lot like you think there’s some kind of holy grail. I was thinking, every business’s success would probably be an engineer because they’re really good at following step-by-step processes, or mathematicians. Admittedly, some of the people at Google are very good at that stuff. But there certainly is no step-by-step process to follow for success in life. We’re so different. We’re uniquely different from each other and our circumstances change on a day-to-day basis. It’s far more like a roller coaster than a step ladder. So he goes on to say, “I’m not in the mindset to consume tons of content anymore. What I need is a business model, a roadmap, or a system, and daily action steps to reach my goals and keep me accountable.” So that was interesting because it sounds a lot like sales letters that you would read. I get that he’s probably full of information. He’s been consuming and that’s really, really common. Anyone opening their emails and buying courses on Facebook is getting bombarded. I get that. The reality is though, if you’re going to enter a new field or you’re going to master anything, you will have to consume tons of content. In the beginning especially, you have to be a sponge and soak it all up. 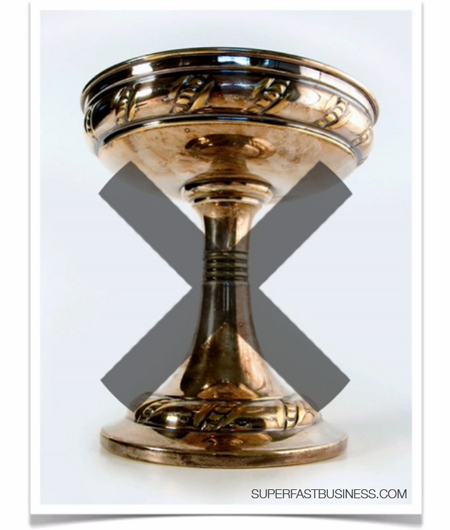 So he really wanted the holy grail. He ignores the idea that you’re going to have to customize according to his own skills and he lacks problem solving. He literally doesn’t want to figure things out. So I came to the conclusion that he’s not really prepared to do what it takes to get the job done. That was interesting because he’s half on the right track. But if he is the kind of person who can follow a proven system, that means only two things: one, he hasn’t got a good assessment of his abilities because he’s not successful yet, or he hasn’t found a proven system to follow, which is probably quite likely because it’s unlikely that there is a proven system that’s going to work for everyone every time. I mean the person reading the email today is different to the one this afternoon, or tomorrow, or next week, or in months from now. I said, “You will have to do things that you are not able or prepared to do. So it’s going to be tough for you. You will encounter overwhelm, you will require independent thought, you will have to make decisions, and that’s the truth.” So I guess you’d call that tough love, and maybe you think I’m not aware of some step-by-step system that’s out there that’s worked for you. But I would say this, there might be step-by-step systems or step-by-step processes for certain parts of the business equation but not the entire thing. I’m still working on my one. I call that project stream, and that is taking an idea from the very, very beginning all the way through to sale. I’ve been running businesses through that, but I still think there’s a few things that take for granted people’s prior knowledge, or ability to have independent thought, or to roll up the sleeves and get through the tough times. And I replied back, I said, “Well ideally, it’s for an online marketer who wants to meet other online marketers. You’ll get access to good quality suppliers who are Adwords experts, Facebook experts, website developers, content writers, marketing experts, e-commerce experts. You’ll also get access to customers if you happen to be a supplier. If you sell anything in the online space, then there’s hundreds of qualified buyers in there. Qualified by the fact that they pay a membership. It’s not a free forum. You’ll also acquire information and skills. You will be able to ask unlimited questions, which I think is possibly the most powerful element of the membership. You will have a daily accountability if you want. We have an action accountability thread. You’ll get new training every single month, which is the freshest and most up-to-date information that I’m aware of from all the people I speak to in all of the things I do in business. I document it and I deliver that once a month live. You can ask questions of me live. It’s not all step-by-step but there are certainly some step-by-step trainings in there. The Affiliate Masterclass for example is step-by-step. The Pay-Per-Click training is step-by-step. So it will bridge your learning faster than just about any resource on the Internet if you want to learn about how to make a profitable online business.” I also said I’m in there most days. And here’s the thing, and this is the part I really wanted to share with you, I replied back and I said, “You need to focus on finding an offer that converts. This is the key.” I’ll say that again because I think it’s so important. Forget traffic. Forget all the other stuff for now. 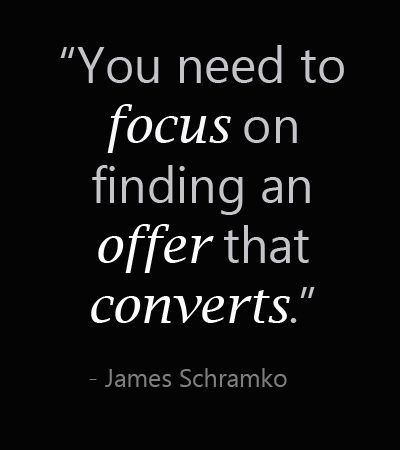 First, you’ve got to focus on finding an offer that converts. It does presuppose that you will find an offer, that you’ll craft good writing or send to people that’s something well set-up for copywriting, but it also presupposes that you will drive traffic. He replied back and said, “That is the best advice I’ve ever had James. Thanks a lot. I’ll start from here and I’ll keep you posted.” And then he sent me love, which is good because I wasn’t making it easy for him. I didn’t just say, “Oh yes, you should join. It’ll be amazing.” I made him work for it a little bit and I honestly believe that he’s better off for that interaction. I the last 30 days, he’d had six visits to that page. So what was really going is he doesn’t know if the offer converts because nobody is seeing it. So I think that was very helpful for him too because as soon as you find an offer that converts, that is the game for the online marketing. It’s easy from there on because all you need to do is scale it, get more people to see the offer, improve the offer with testing, make related offers, change the pricing or the packaging. So that is something that I hope you take away from this podcast. It is firstly, stop chasing the holy grail and protect yourself from some of those crazy offers that come in your inbox. You don’t really need another $2,000 or $3,000 product that promises you the holy grail. It doesn’t exist. It might be a key to it. It might be a pathway. It might be a step-by-step system that delivers one part of what you need, but if you step back and look at your life, there’s going to be so many decisions being made. You will encounter overwhelm at times. You’ll have to go down a few avenues before you realize the right path for you and what’s right for your life. I really stress that because if you see some of those videos, “a day in the life of,” where someone’s working 19 or 20 hours a day and they think it’s really cool to be wearing a suit, and catching trains, and planes, and automobiles, and drinking buckets of coffee, then getting home at midnight, and crawling to bed exhausted; if you think that’s cool, great. Good for you. If that makes you happy, that’s awesome. I’d rather have a surf, have a good meal, make a podcast, and get to bed early. But that’s what makes me happy. So that’s why I think we’re all different, and that’s why I think stop chasing the holy grail, and find an offer that converts. If you happen to be lucky enough that you already have an offer that converts, then go and focus on having it convert more. Work on your conversions, work on your frequency, see if you can put a subscription model there. I hope you’ve enjoyed this podcast. A bit of an experiment. If you liked it, let me know on the comments. Give the podcast a rating in iTunes. I’m very appreciative of that. I look forward to catching up with you in a future episode. If you want the PDF transcription from this episode, just opt in on the blog post and you’ll be able to have it delivered to your email address straight away. Thank you. Get realistic, no-fluff business training inside SuperFastBusiness membership. Good luck to him. Hopefully we see him in the forum in a couple of months after having made a profitable start to his affiliate marketing. Nice honest response too James. Too many people chasing this Holy Grail! Thanks Brian. I’m sure he will be nurtured well in the community. After you left the Mercedes dealership and started your own internet marketing business did you ever meet the lunatic millionaire for another chat, was he curious how you were getting on? I had no desire to meet him again after the way he treated me so I let it go. I occasionally heard rumors about him from some previous work associates and I am sure he knows what I ended up doing. Awesome stuff James, I’ve been on the cusp of joining for a while and just crossed the line. Welcome aboard! At least you know what it is and what it isnt! Very interesting observation of a fundamental requirement for trading. So much of what one reads is detail, but one needs to get the fundamentals right first. Thanks for this reminder James. You gave me similar advice a while back and I find that though much time has passed and that I’ve explored numerous rabbit holes, I’m still at the point of needing to truly find an offer that converts. Until you have one, you’ll only have an “ineffective hourly rate” which is what I currently have. So once again, thanks. I’m going to simplify and figure out this ‘offer that converts’ thing and listen to this episode should I get off track again. Excellent message James. Thanks for being real! Loved your mention of the “project stream” – this type of approach/product will convert and sell although would require tough decisions along the way -I am still in the “Mercedes Benz” phase as working in corporate and doing some internet marketing on the side – also being blinded by daily shiny objects- I have been in your forum before and loved it – but I need to first develop my offer to the point that it will convert and sell – then will move into next realm – this podcast hit me with a lot of often painful truths yet also -see the light moments – Thanks James for probably one of the most real messages I have listened to for a long time!! Thank you Sean. When you make your offer work I look forward to seeing you again in the forum. The Project stream checklist (very rough) draft is published in there too. I disagree. There is a holy Grail. It’s called customer acquisition. If each entrepreneur can find a customer acquisition strategy that fits their 8020 strengths they can succeed. Gurus may disagree about how to get there but none will disagree with the fact that until the entrepreneur masters at least one customer acquisition strategy they will not achieve success. Customer retention is probably a better strategy because it presupposes both acquisition and a recurring business model. Too many experts focus on customer acquisition. Perhaps you prefer hard work? We are talking about focus here. Pareto is a great reference. The great portion of your profit will come from a small portion of clients. Discover those clients and develop them for a bigger return on your energy. James, this is one of my favorite episodes. Loved the story in particular because I think we all have that one person in our past who taught us a memorable lesson – and not always in a good way! In terms of finding an offer that converts – I’d love for you to talk more about dealing with the challenges in this area. I had one that converted wonderfully for me (mostly because people thought it would be their holy grail – isn’t that ironic) but the tool doesn’t work anymore thanks to Google and their constantly evolving algorithms. Hope to hear more from you on the topic! Cheers. It is ironic that holy grail offers convert. Hence the post! On the matter of an offer that converts. The very first product I sold successfully is no longer available so I can relate. We should assume obsolescence as a redundancy strategy and make a plan to seek the next offer that converts at the same time as the first one fires. This is how super affiliates stay afloat. We want multiple offers that convert as a multiple pillars of income strategy. Great episode James. I kind of needed to hear this right now. Keep ’em coming! You mentioned at the end of the podcast that it was an experiment. I think it worked. Never commented before but felt compelled to on this episode. I think it can be hard for entrepreneurs to think ‘straight’ when money is tight and the pressure is on. Feeling that way sends you chasing money or trying to find what you believe to be the quickest route to it. The pressure leads to terrible thought processes and feelings of urgency so one looks for the holy grail as a way of solving that problem. It never does though. Took a while for me to ‘get’ that. Thank you Brad – this was indeed a really good experiment. I am sure it has helped lots of people and I had plenty of emails and comments about it elsewhere. This really resonates with me. I’m at a point where I feel like I’ve learned and developed some chops (copywriting, paid traffic, blogging, etc) and applied them in other people’s businesses. Now I need to find an offer that converts and scale it. Thought-provoking stuff as usual, James. I’ve experienced this myself, and have seen it in so many people I’ve worked with over the years. The day you stop searching for shortcuts is the same day things start happening for you. It comes down to being responsible for your outcomes. Shortcuts do exist, fairy dust and rainbows only get you so far though….